Our Responsibilities: The primary responsibilities of the Office of Highway Safety are housing and maintaining the Statewide Collision Database, analyzing and disseminating collision statistics, and administering the federal section 402 highway safety funds. 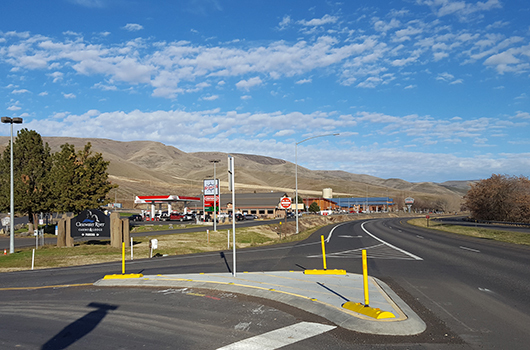 Where we are located: The Office of Highway Safety is located in Boise, Idaho at the Idaho Transportation Department (ITD) headquarters complex. The Office of Highway Safety is located in the East Annex building. How we fit in: The Office of Highway Safety is under the Division of Engineering Products and Plans (DEPP) of the Idaho Transportation Department and works closely with other Department sections and districts to promote safe driving behaviors and improve the safety of roadways on the state highway system. The Director of the Idaho Transportation Department serves as the Governors highway safety representative. The Office of Highway Safety is managed by the Highway Safety Manager. The Office of Highway Safety consists of two teams: the records team and the programs team. The records team is responsible for maintaining, updating, and ensuring the quality of the statewide motor vehicle crash database. The program team is responsible for administering Idaho’s Federal highway safety funds and analyzing and disseminating the crash data. All funding is subject to approval by the Idaho Traffic Safety Commission and the Idaho Transportation Board. You can reach the Highway Safety section at (208) 334-8100 or FAX (208) 334-4430, or directly contact the staff below. Mission Statement: We support the Department’s mission of ”Your Safety. Your Mobility. 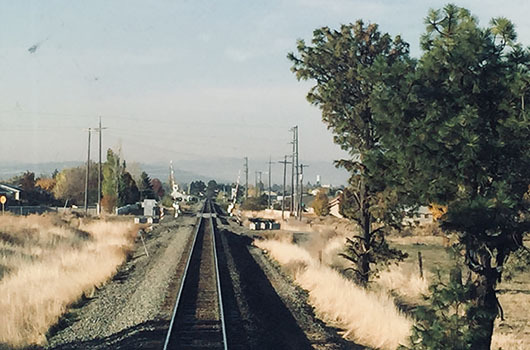 Your Economic Opportunity” by conducting programs to eliminate traffic deaths, serious injuries, and economic losses through funding programs and activities that promote safe travel on Idaho’s transportation systems, and collecting and maintaining crash data and utilizing reliable crash statistics. Vision Statement: To be the best in the country in promoting safety on Idaho’s roads in an efficient and effective manner. Operating Philosophy: The Office of Highway Safety has a deep concern for the welfare of the traveling public, and believe our main purpose is to save lives through creative, highly visible, innovative, and effective highway safety programs for all modes of transportation. We are committed to our critical role within the State of Idaho, and the rest of the nation, to ensure safe travel on Idaho’s roadways. As stewards, we have a responsibility to make a positive impact on peoples’ lives. The continuation and expansion of state and local partnerships is essential to our success. The primary mission is to identify existing and emerging traffic safety trends through statistically-based problem identification efforts, to efficiently provide decision makers accurate data for use in determining where the most effective highway safety investment is made. This includes the task to develop and implement highway safety programs that save lives and prevent injuries, and to provide appropriate safety funds that empower communities to address critical local traffic safety issues. 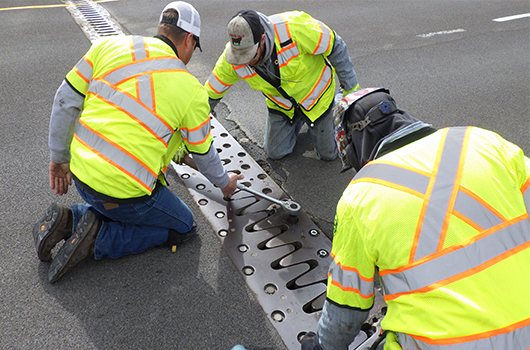 As highway safety professionals, we are committed to teamwork, integrity and maintaining a positive working environment. In our highway safety partnerships, we respond, cooperate, and provide accurate and timely service. We are a leader in a coordinated statewide effort to eliminate death and serious injury on all of Idaho’s roadways. The audit will produce short-term recommendations that can be implemented while the Nez Perce Tribe's design on the interchange progresses. Law enforcement agencies worked with the railroad to talk more about safety. Carma McKinnon is the statewide Child Passenger Safety Centralized Leadership coordinator. Carma works for the Lemhi County Sheriff’s Office in Salmon. If you need assistance regarding child passenger safety, don’t hesitate to contact Carma at (208) 742-1683 or carma@lemhicountyidaho.org. To 2 years of age, or until the highest weight and height limit allowed by the car seat manufacturer. To upper height and weight limits of car seat, approximately 4 years and 40-65 pounds. The top tether should be used until child weighs 40 pounds. The Children’s Hospital of Philadelphia (CHOP) created a pocket card which provides child restraint basic recommendations to parents and caregivers. The card features restraint types and positions based on a child’s height, weight and age. The card is free. Restrain children on every trip, every time. Keep children in the back seat until age 13. Use the correct safety seat for child’s size. Use child safety seats and seat belts correctly. The purpose of NHTSA’s ease of use rating program is to educate parents and caregivers about child safety seat features and which are easy to use. One of the most important goals for child passenger safety is to make sure that car seats and boosters meet all Federal Safety Standards. If it is determined that a car seat or booster doesn’t comply with the required safety standards, a recall may occur so that the manufacturer can fix the problem. Registering your seat makes sense because it gives the manufacturer the ability to contact you about recalls and safety notices. 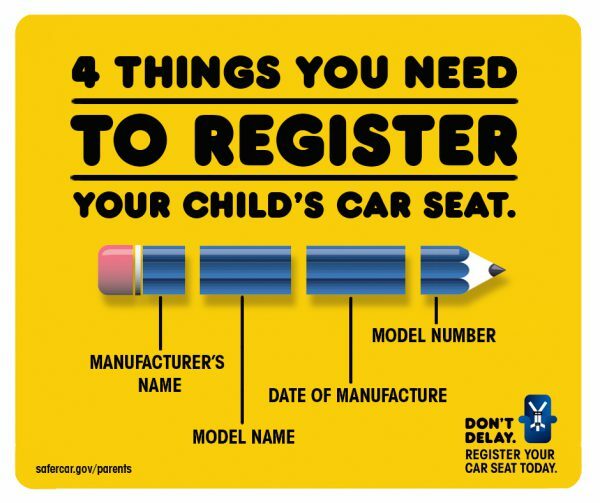 Click here to learn how to register your car seat or booster. Don’t buy or sell used car seats. Although it is nice to share and reuse baby items, car seats are one product that shouldn’t be reused. The components used in the typical car seat deteriorate and weaken over time. Car seats have an expiration date stamped on the back of the seat; the expiration date is typically six years from the seat’s manufacture date. Click here for details on retiring a car seat. The above information provided courtesy of consumer reports – Consumer Reports is published by Consumers Union. Both Consumer Reports and Consumers Union are not-for-profit organizations that accept no advertising. Neither has any commercial relationship with any advertiser or sponsor on this site. Once you are on the website link below, begin by clicking on the “Enter Location” search box. Start your search by entering the state, or state & county, or enter a city & state (example, Rexburg Idaho). If you enter both a state & county or a city & state, the inspection site will provide inspection sites within 25 miles. Click here to find the Car Seat Inspection Site Locations in your area. It is important to read and clearly understand all safety and booster seat installation and use instructions. Having your child safety seat initially inspected and re-inspected often by a trained professional increases your child’s chances of escaping injury in the event of a car crash. Child Passenger Safety Technicians train properly fit child safety seats. Out of the thousands of child safety seats installed in vehicles over 80% of them are incorrectly installed according to National surveys conducted by NHTSA (National Highway Traffic Safety Administration). 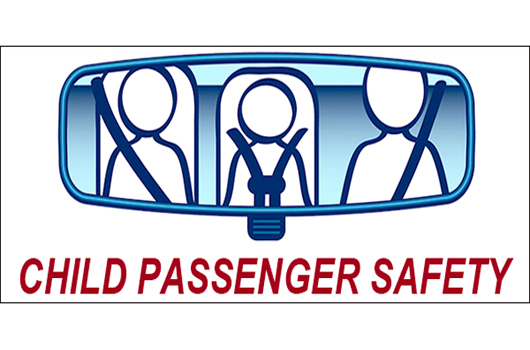 The NHTSA Standardized Child Passenger Safety Training course is designed to certify child safety advocates as Child Passenger Safety Technicians. The course provides attendee’s with the knowledge and skills necessary to provide parents with accurate and consistent information regarding child car safety seats. The Idaho Office of Traffic and Highway Safety recommends that anyone providing parent technical information regarding their child’s car seat should attend this valuable training course. The Idaho CPS program provides free Child Passenger Safety Inspection Stations through our hospitals, fire departments, police departments, and District Public Health Department offices. At these locations parents and caregivers can learn how to safely transport children by using the properly fitted child safety seats. Click here for a list of current child safety seat check sites in Idaho, then enter Idaho and the zip code. If you wish to take this course, you must register online at the National SAFE KIDS. This site describes policies and administrative requirements for course registration and certification for the National Standardized Child Passenger Safety Training Program. For those contemplating taking the course, please keep in mind that this is not an easy course and is physically exerting. It is a full 40-hour course with a child safety seat check and an on-line exam that must be passed. It also requires the physical ability to climb in and out of cars, placing pressure on car seats to install them properly. It is not recommend for persons with back problems take this course. To register you will need to be prepared to use a credit card to charge your registration fee of $60.00. This registration fee includes your manual and your 2-year NHTSA National Certification . To remain current CPS technicians must recertify every 2 years. If you have questions after you have read this page, or for details regarding course availability in Idaho contact Carma McKinnon at (208) 742-1683 or carma@lemhicountyidaho.org. Emergency service personnel across Idaho have a tool available to help identify small children involved in motor vehicle crashes. The WHALE program “We Have A Little Emergency” gives instant identification of a child in a car safety seat in the event that an adult in the car is injured and unable to talk. The WHALE identification card provides emergency personnel information to identify young children involved in a crash. Sometimes just knowing a child’s name can help rescue workers comfort young patients. Rescue workers can refer to an identification card attached to the safety seat and find the child’s name, medical information and who to contact in case of emergency. Stickers affixed to car windows and the safety seat also alert emergency workers that the child’s information is close at hand. The “We Have A Little Emergency” (WHALE) brochure has been translated to Spanish. An Identification Card — containing a space for a photograph of the child, and important information about the child in the safety seat, such as the child’s name, date of birth, pertinent medical information, and whom to contact in an emergency. Two WHALE (seat) Stickers — the WHALE logo, to be attached to each side of the child safety seat. Two WHALE (window) Stickers — featuring the WHALE logo, to be attached to the lower rear corner of the vehicle’s windows. Idaho’s child passenger safety law requires all children 6 years of age or younger be properly restrained in an appropriate child safety restraint. This is a primary law, and current infraction penalties and fees may be reviewed on the Idaho Supreme Court’s website Infraction Penalty Schedule. 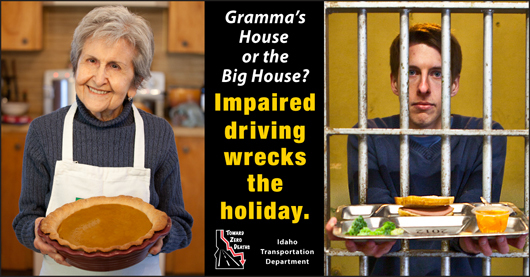 If you happen to be travelling in other states, please be aware that other state laws differ from Idaho’s. All 50 states, the District of Columbia, Guam, the Northern Mariana Islands and the Virgin Islands require child safety seats for infants and children fitting specific criteria. Click here for other states’ laws pertaining to child passenger safety. 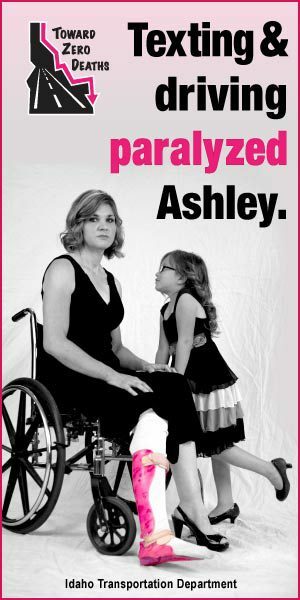 An unrestrained passenger motor vehicle occupant is killed every 5.5 days. The cost of crashes involving unrestrained occupants was $589 million in 2014. Idaho’s observed safety restraint use rate decreased slightly from 81.6% in 2013 to 80.2% in 2014 . While the observed seat belt use rate was 80%, only 44% of the motor vehicle occupants killed in crashes were wearing seat belts. If everyone had been wearing seat belts, 34 of the 67 unbelted motor vehicle occupants may have been saved. Safety restraints, when used, are the most effective safety feature ever introduced for vehicles, cutting in half the likelihood for fatal and serious injuries resulting from traffic crashes. (Traffic Safety Facts 2012, NHTSA). By this estimate there were 54 lives saved in 2014 by seat belt usage and an additional 34 lives could have been save if everyone had buckled up. In 2014, 59% of occupants killed in DUI crashes were not buckled up and 59% of those killed in speed-related crashes were not buckled up. In 2014, 60 people were killed in single-vehicle rollover crashes, only 14 or 23% were wearing seat belts or in a child safety seat. In 2014, the 20% of Idahoans that did not buckle up accounted for 55% of the passenger vehicle occupants killed in traffic crashes. There were 688 passenger vehicle occupants killed in traffic crashes in the last 5 years (from 2010 to 2014). Of the 688 killed, 385 (56%) were unrestrained. Teens – Of the 87 teen passenger vehicle occupants killed in crashes, 68% (54) were unrestrained. Males – Males are less likely than women to buckle up. In Idaho, men comprised 61% of all the passenger vehicle occupants killed. Of the 419 male passenger vehicle occupants killed from 2010-2014, 60% (250) were unrestrained, while 50% (135)of the 269 female passenger vehicle occupants killed from 2010-2014 were unrestrained. Rural Roads – Crashes occurring on rural roads accounted for 84% of the passenger vehicle occupants killed. Of the 357 passenger vehicle occupants killed on rural roads over the last 3 years, 61% (218) were unrestrained. The following tables were developed to show the costs associated with motor vehicle crashes and specifically how increased seat belt use age could decrease those costs. The data has been limited to occupants of passenger motor vehicles over the age of six. The (Actual) total number of motor vehicle occupants, the number using seat belts, the number not using seat belts and the expected totals (assuming 100% seat belt use) are shown by injury type for each county. The costs associated with the injuries are also shown. The costs are based on Federal Highway Administration estimates for crashes and are updated to represent 2014 dollars: each fatality costs $6,493,502; each serious injury costs $323,382; each visible injury costs $90,577; each possible injury costs $60,040. The costs are comprehensive and encompass many different components including medical, pre-funeral, emergency service, vocational rehabilitation, market production, household production, insurance administration, workplace, legal/court, travel delay and property damage costs. Just over 70% of these costs are paid by the general public through insurance premiums, taxes, direct out-of-pocket payments for goods and services and increased charges for medical care. The other 30% are paid by the individuals involved in the crash. The number in the “100% Use Expected Totals“ column are the number of persons killed and injured we would have expected if every occupant that was not wearing a seat belt had been wearing a seat belt. These numbers are based on estimates by the National Highway Traffic Safety Administration that seat belts are 50% effective in preventing fatalities and serious injuries. For example, in Nez Perce County, 3 people were killed that were not wearing seat belts. Assuming they had all been wearing seat belts, half of them would have survived and half would have been killed. To get the expected number killed, we take half of the persons not wearing seat belts that were killed = 1.5 plus the 2 that were killed wearing a seat belt is equal to 4 (3.5 rounds up to 4). Add that to the unknown seat belt use, and you would have expected to have 4 people killed (instead of 5) if everyone had been wearing a seat belt. The other 1 (that would have survived) is added into the serious injuries. The expected number of serious injuries is equal to the number of belted serious injuries plus half of the unbelted serious injuries plus half of the unbelted people killed plus the people with unknown belt use. (19 + (9/2) + (1.5 prevented fatalities) + 3) = (19 + 4.5 + 1.5 + 3) = 28. For simplicity, we assume that the serious injuries that would have been prevented became visible injuries. The savings is equal to the total cost minus the 100% use expected total cost. The Office of Highway Safety conducts observational seat belt surveys every year. The surveys are conducted at 100 sites throughout the state. The surveys are used to estimate seat belt usage throughout the state. Blank pages have been removed from the documents. The actual Idaho code, 49-673, can be accessed by clicking on the link. Cognitive – taking your mind off the road. Research conducted by the Virginia Tech Transportation Institute (VTTI) in 2006 reported that, “Nearly 80% of crashes and 65% of near-crashes involved some form of driver inattention within three seconds before the event. The primary cause of driver inattention in this major study included such distracting activities as cell phone use and factors that significantly increase risk such as reaching for a moving object (a 9 times greater risk) and drowsiness (4 times greater).” Distracted driving caused by the use of a cell phone or any other electronic device to make a phone call, text a message, read email messages, manipulate music files or search for direction information is an ever growing concern. Effective July, 2010, Distracted Driving became a focus area in the Idaho Transportation Department’s Strategic Highway Safety Plan. Distracted driving contributed to almost 1 of every 3 fatal or serious Injury crashes. Distracted driving contributed to 28% of the economic costs of crashes. 80% of the fatal distracted driving crashes occurred in rural areas. 52% of the fatal distracted driving crashes involved a single vehicle. Does your company have a distracted driving policy in effect? Below are links to sample distracted driving programs for your employees. In an effort to provide materials for outreach and education, and to help raise awareness about the dangers of distracted driving, the Distracted Driving Task Force generated a toolkit of information for public use and mass distribution. Serious and, often times, fatal crashes are the result of distracted driving. Anytime you take your eyes off the road, your hands off the steering wheel, and/or take your mind off driving, you become a distracted driver. 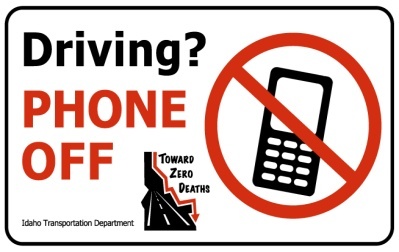 Resist the urge to text, talk on a cell phone, eat or drink while driving. What are Local Teens Doing? The Office of Highway Safety produces educational materials which are available at no cost to qualified organizations for distribution to the general public. Typically, the materials are made available to law enforcement agencies, government and non-profit organizations. Aggressive driving is a high-risk behavior. High-risk drivers climb into the anonymity of an automobile and take out their frustrations on anybody at any time. For them, frustration levels are high, and level of concern for fellow motorists is low. Most people believe that the worst thing that can happen if they speed or fail to obey traffic signals is that they will get a ticket, so it’s an acceptable risk. Drivers like this are wrong. Maybe even dead wrong, because aggressive driving can kill. Aggressive driving contributed to 222 deaths on Idaho roads from 2012 to 2014, and another 1,913 people were seriously injured in aggressive-driver involved crashes. Be prepared to provide location, vehicle description and license plate. Road rage is a serious offense, and occurrences are becoming more common. Road rage is defined as a deliberate, violent act against another driver and is a criminal offense. 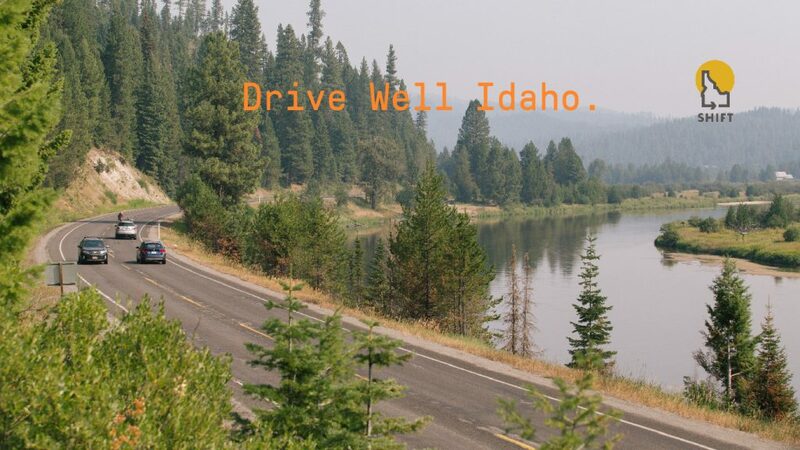 Vision: Continue to move Toward Zero Deaths on all roadways in Idaho. Mission: Provide the safest transportation system possible. Reduce the number of traffic deaths to 185 or fewer. Reduce the fatality rate to 1.1 per 100 million annual vehicle miles traveled. Reduce the number of serious injuries to 1,221 or fewer. Reduce the serious injury rate to 7.27 per 100 annual vehicle miles traveled. The SHSP is a clear, concise document that helps coordinate goals and highway safety programs across the state. The collaborative process of developing and implementing the SHSP helps Idaho’s safety partners work together in education, enforcement, engineering, emergency response and policy to help reduce fatalities and serious injuries on Idaho roadways. 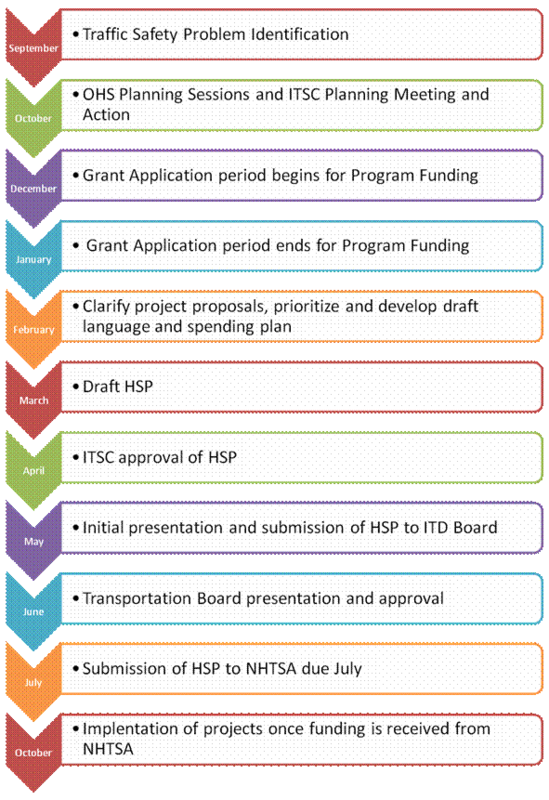 Planning into Action – The SHSP also articulates priorities that have been established by a diversity of safety stakeholders, thereby helping to assure these priorities represent the shared interests of multiple partners and enhancing their likelihood of successful funding. Below are one-page (front and back) statistical sheets for each of the focus areas in the Strategic Highway Safety Plan. An ignition interlock device requires that a driver blow into the breathalyzer to make sure they are sober before the vehicle will start. Convicted first-time DUI offenders must have an ignition interlock device installed in their vehicle under the Idaho law that went into effect January 1, 2019. The Ignition Interlock Manufacturers listed in the link below have been certified by the Idaho Office of Highway Safety (OHS) to meet the standards set forth by the National Highway Traffic Safety Administration for Model Specifications for Breath Alcohol Ignition Interlock Devices (BAIIDS). It is suggested that individuals ordered by the court to install an ignition interlock contact each company listed in the link below to determine the nearest service center, cost, availability, and appointment requirements. These manufacturers are located outside of Idaho, however, they have service centers in various Idaho locations. OHS does not install ignition interlocks, cannot recommend a company, or provide the nearest installation center. The Office of Highway Safety administers the Federal Highway Safety Programs, which currently are funded by formula through the Fixing America’s Surface Transportation Act (FAST-ACT) and the Highway Safety Act of 1966. The goal of the program is to eliminate deaths and serious injuries resulting from motor vehicle crashes by implementing programs designed to address driver behaviors. The purpose of the program is to provide funding at the state and community level for a highway safety program that addresses Idaho’s own unique circumstances and particular highway safety needs. Application Deadline: All applications must be postmarked or electronically dated no later than 5:00 PM, Friday, February 8, 2019. The application can be submitted by email, fax or mail. 2017-2019 Grant Procedure Manual – For complete descriptions and procedures in conducting a grant through the Office of Highway Safety. Only state and local governmental units or non-profits are eligible to receive highway safety funding. The highway safety funding process applications must be received by 5:00 PM, Friday, February 8, 2019. Applications may be e-mailed to the Office of Highway Safety. Applications that are not received by the specified deadline are automatically ineligible. 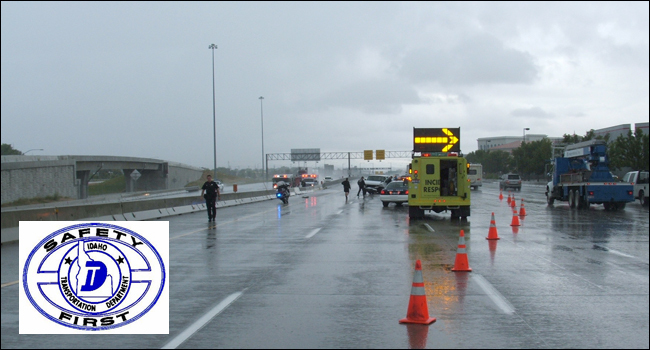 The Office of Highway Safety offers law enforcement agencies throughout the state the opportunity to participate in Traffic Enforcement Mobilizations (saturation patrols), which support enforcement efforts by agencies to reduce deaths, serious injuries and economic loss as part of the Strategic Highway Safety Plan (SHSP). Dedicated enhanced enforcement efforts and /or traffic enforcement equipment for regular duty dedicated mobilization enforcement are funded for hours worked during the mobilizations. Participation in the mobilization is initiated by a Traffic Enforcement Mobilization Agreement (TEMA) between the agency and the Idaho Transportation Department Office of Highway Safety. A “traffic safety problem” is an identifiable subgroup of drivers, pedestrians, vehicles, or roadways that is statistically higher in collision experience than normal expectations. Problem identification involves the study of relationships between collisions and the population, licensed drivers, registered vehicles, and vehicle miles traveled, as well as characteristics of specific subgroups that may contribute to collisions. 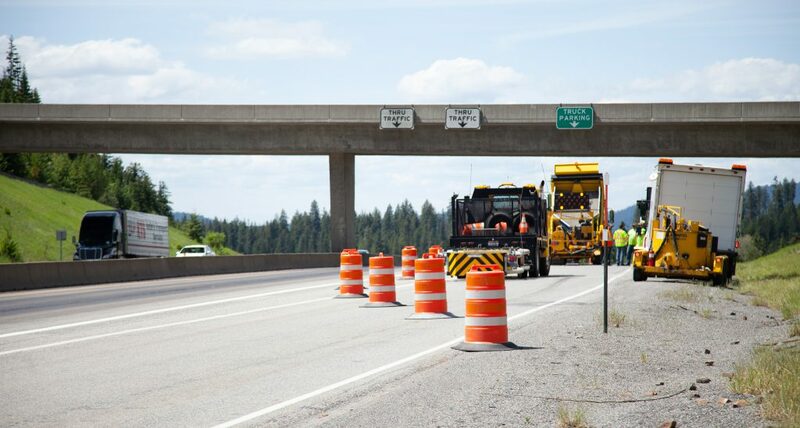 The process used to identify traffic safety problems began initially by evaluating Idaho’s experience in each of the National Highway Traffic Safety Administration’s (NHTSA’s) eight highway safety priority areas. These were program areas determined by NHTSA to be most effective in reducing motor vehicle collisions, injuries and deaths. Consideration for other potential traffic safety problem areas came from analyzing Idaho collision data, suggestions from Idaho Traffic Safety Commission (ITSC) members, suggestions by Office of Highway Safety staff, and by researching issues identified by other states. All traffic safety problems must be validated with supporting data and there must be an effective countermeasure to address the problem that is eligible for Federal highway safety funds. The traffic safety problem areas that have been identified and are currently being addressed are: Aggressive Driving, Occupant Protection, Impaired Driving, Distracted Driving, Youthful Drivers, Pedestrian Safety, Bicycle Safety, Motorcycle Safety, Traffic Records, and Emergency Medical Services. In order to receive the Federal highway safety funding, each State must submit a High Safety Plan, which includes a description of the processes used by the State to identify its highway safety problems, define its highway safety performance measures, set goals for those performance measures, and develop projects and activities to address its problems and achieve its goals. The Plan, approved by the Governor’s Representative for Highway Safety, must also include descriptions of the projects and activities the State plans to implement and link the countermeasure strategies and projects to the goals identified in the Plan. Each State is also required to submit an Annual Report within 90 days of the end of the Federal Fiscal Year which evaluates the State’s progress in meeting its highway safety goals, using performance measures identified in the Highway Safety Plan and describes how the projects and activities funded during the fiscal year contributed to meeting the State’s highway safety goals. Crash records are considered public information, and as such, are available to the general public. In accordance with Idaho Code, the Office of Highway Safety (OHS) charges for each copy of a crash report, if applicable. The charge is $7.00 plus handling. Statistical information not contained in the annual Idaho Traffic Crash Reports (below) can also be obtained through the OHS, with the same charges applicable. A Vehicle Crash Report (VCR) is filled out for every crash that involves a motor vehicle, occurs on public property and results in more than $1500 ($750 before January 1, 2006) property damage for any one person involved in the crash, or results in and injury to any person involved. All law enforcement agencies in Idaho (City Police, County Sheriffs, and the Idaho State Police) are required by Idaho Code 49-1306 to send VCR forms to the Office of Highway Safety (OHS). All law enforcement agencies are now completing the VCRs on the software program called Idaho’s Mobile Program for Accident CollecTion (eIMPACT). The software allows local agencies to store the crash information locally and transmit the data to the OHS electronically. This allows easy access to the data for each local agency, eliminates the need for local agencies to keep paper copies on hand, eliminates the need to print off a copy of the report and mail it to the OHS, and eliminates the need to re-key the data into our database. Just over 20,800 reportable crashes were entered into the database in 2012. Each report must be coded, checked for completeness and accuracy, and entered into the crash database. Each full-time technician is responsible for approximately 4,700 VCRs per year. Each VCR includes 89 crash level data elements (location, environment, and conditions), 45 unit level data elements plus 16 additional data elements that are filled out for commercial motor vehicles, 19 person level data elements plus 15 additional data elements that are filled out for the person in control of the unit, and 2 additional elements for drivers licensed in Idaho. These elements encompass all three aspects of the crash: environment (including location and road conditions), vehicle, and person information. The accuracy of the data is dependent upon the correct interpretation by the law enforcement officer, as well as the technician in the OHS. The OHS archives hard copy (paper) VCRs using microfilm. The OHS has microfilmed VCRs dating back to 1971. The film is stored in both the OHS and the General Service’s microfilm vault for protection. Crash reports sent electronically are archived in the crash data base. Each year, the OHS publishes the Traffic Crash Report for Idaho. This report tabulates, analyzes and summarizes the various aspects of traffic collisions. The report is divided into sections to better facilitate searches for specific information.